6 injured, including several children,in Kiryat Haim apartment fire. 4 injured from thick smoke in Ashkelon fire. Six people were injured in a fire in a residential building in Kiryat Hayim Tuesday night. 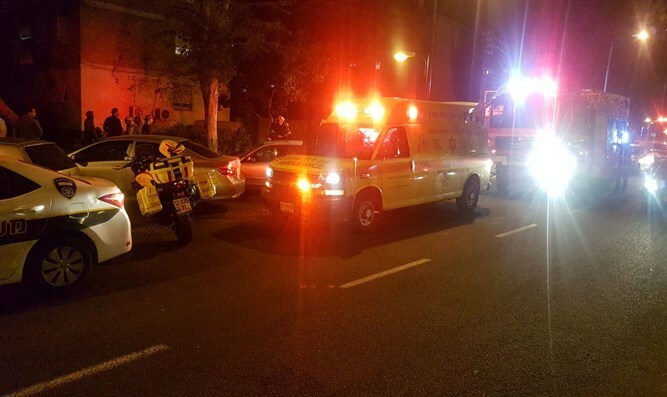 MDA First Aid motorcycles, ambulances and mobile intensive care units treated the injured and evacuated them to Rambam Hospital in Haifa with smoke inhalation injuries. Two children and a woman were listed in moderate condition. Two women and another child were listed in light condition. MDA paramedic Hassan Khatib said that upon receiving the call, MDA paramedics understood that there may be many casualties]],and therefore many MDA teams arrived in the area : "The victims suffered smoke inhalation and were treated with appropriate treatment. It was only down to luck that there were no severe injuries." Separately, four people were injured in an electrical fire in a residential building in Ashkelon. Rescue workers searched the four story building for people trapped by the thick smoke. Many residents were evacuated from the affected floor. Authorities ecidedthen to evacuate the entire building. Firefighters have gained control over the fire and right now all the occupants of the building are staying near the site until all the apartments are cooled and the building is safe to reenter.